Assess your injury/issue – Thanks to direct access laws, you can make an appointment with a skilled physical therapist who will then be able to work with your physician’s office to manage any necessary referrals. Your PT will use his/her expertise and experience to assess your injury and what you’re doing (or not doing) that may exacerbate the issue. Are you limping to compensate for a weak muscle? Do you have tight muscles that need to regain elasticity? Your physical therapist will carefully go over your symptoms and discuss his/her findings with you. Educate you – An important role that your PT plays is also that of an educator. Your physical therapist will tell you what s/he finds. S/he will also educate you on your injury, as well as the muscles, tendons, tissue, joints, and bones that play a role in the injury as well as your recovery. Your PT will explain how any manual therapy as well as custom exercises will work to help you recover. Design a Recovery Plan – Your PT will design a specific plan unique to you, your injury, and your goals. Not every client has the same lifestyle, activity level, career, and goals. Your physical therapist will discuss your lifestyle and goals with you before creating your plan. Your recovery plan will likely include both manual therapy as well as exercises you’ll do on your own. Your PT will perform manual exercises with you to help stretch and manipulate your injured area to increase flexibility, range-of-motion, and aid with recovery and discomfort, among other things. You’ll do exercises on your own as part of your “homework” to improve strength, mobility, balance, form, flexibility, and more. Provide Periodic Assessments – Over time your physical therapist will check in with you, often via a detailed questionnaire, to determine your progress. S/he will also physically examine you in order to see if you’re improving from your benchmark findings. These assessments will help guide your PT in your ongoing treatment. Help Prevent Future Issues – By seeking the care of a trained physical therapist, you’ll learn proper form and movement. You’ll also shore up weak areas and improve muscle strength. Your PT will provide guidance and instruction to prevent further damage to the injured area and by following your treatment plan you’ll improve your odds for a speedy recovery. Sometimes a wait-and-see approach really does more harm than good; often, if you seek the care of a qualified physical therapist early you can prevent further damage and speed your healing. If you’re dealing with pain or injury, stop waiting and call Body One Physical Therapy today. 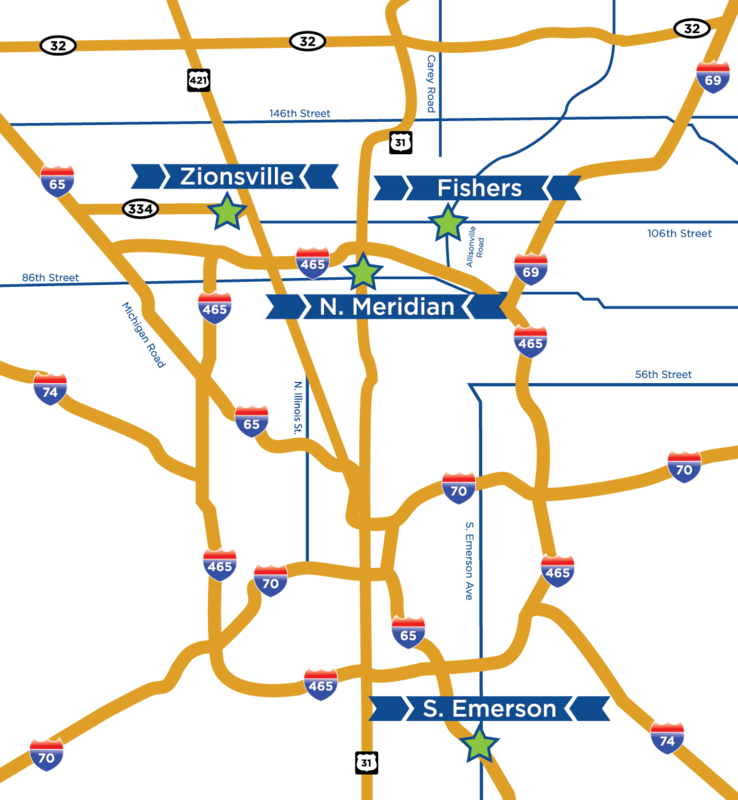 Body One is locally owned with four convenient locations serving Central Indiana: North Indianapolis, South Indianapolis, Fishers, and Zionsville. Call today and get started on your road to recovery!